Yes, the US spec Mitsubishi i is larger than the global Mitsubishi i-Miev, a few inches wider, a little longer, and a bit roomier inside, but it hardly compares to the wood paneled station wagons of days gone by. The Mitsubishi i woody surf model probably isn’t practical for most people, because they don’t live within 100 miles of surfable waves – and if they do, there’s probably no charging stations installed on the beach. 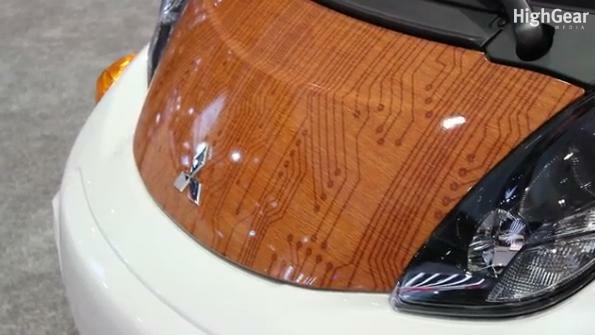 We do like the wood panels better than the Hello Kitty wraps though!